We all communicate in a language. English language has gained tremendous importance in last few decades. People, world over are vying with each other to master English language. In most parts of our country, English is used as a second language. First of all, it is the most commonly used language across the world. In case one is proficient in English language, one would have no difficulty in travelling to various countries and comfortably communicating with the people of these countries. This means that people from different countries with diverse backgrounds would be able to communicate in a common language i.e. English. It enhances one’s personality and also boosts the confidence. It plays a major role in getting a good job since English language skills are considered very important for most of the job roles in today’s business environment. Learning English – A Challenge! Not Really…. It is interesting to know that learning English is easy, provided you have the right kind of faculty available to guide and train you. If we look around, on one hand, there are a large number of students trained by Global Voice, who have dramatically improved their Spoken English skills in 30-60 days, whereas there are even larger numbers, who have been trained by average institutes and have not been able to master the language. The difference is only the quality of training and nothing else. Global Voice offers a unique ‘Spoken English’ program that aims at not only enhancing the language skills but also the effectiveness of one’s overall communication. 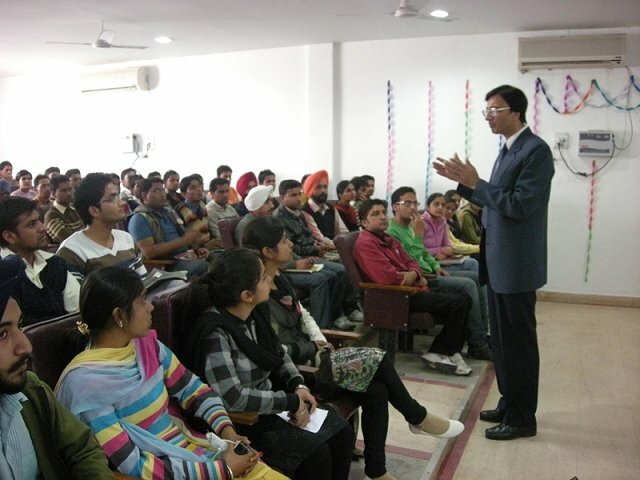 Why Global Voice should be your 1st choice for English Speaking Classes in Chandigarh? Rich experience in English speaking classes. 16 years of experience. A unique methodology developed after years of research, which makes it the best Spoken English classes in Chandigarh. Doubts classes for clearing the doubts of all the aspects of Spoken English Tutorials. Regular activities and tests are conducted along with detailed analysis and feedback. This gives a clear idea to the students about their progress on regular basis and special emphasis is given on the areas where the student is weak. This results in the overall improvement in English speaking skills. Special sessions on pronunciation and accent to polish the language skills of the students.